As part of our all new programming this summer we ran a very popular Junior Architects week. Our young designers did a great job drawing and building models. 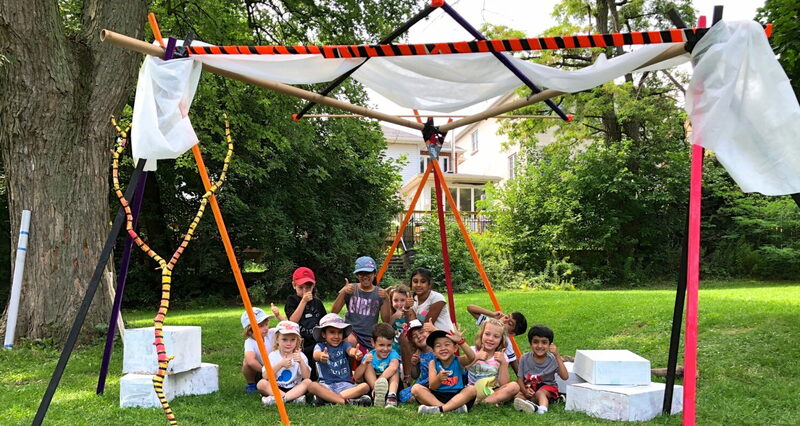 The grand finale was a spectacular pavilion we built together (and dismantled) one day in Eglinton Park! More Dots this Summer! Did you know that Artbarn offers scholarships?